In an interview with Bloomberg Politics published yesterday, Presidential candidate Donald Trump made some good points about corporate income tax policy. Asked whether there was anything wrong with taking advantage of corporate inversions, Trump was steadfast in pointing the finger at U.S. tax policy. This is a very straightforward point with a lot of evidence behind it. The United States has the third highest corporate income tax rate in the world, as seen in this table below from our recent report on corporate rates around the world. Furthermore, the U.S. has the rare “worldwide” form of corporate tax system, which taxes repatriated foreign income. As a result of these policies, corporations sometimes “leave the country” through mergers (as Pfizer is doing) or end up shifting their profits by realizing income in more favorable tax regimes. If you think this is an important effect—as Donald Trump seems to—then you’re a believer in what economists call a “high semi-elasticity of income shifting.” Basically, if you lower your rate, multinationals with complicated books will realize more of their income in your country, rather than someone else’s. My colleagues Gavin Ekins and Erik Cederwall have both done a review of the academic literature on this phenomenon. A study by Kimberly Clausing at Reed College finds a pretty high semi-elasticity, of the sort that Donald Trump might believe in. 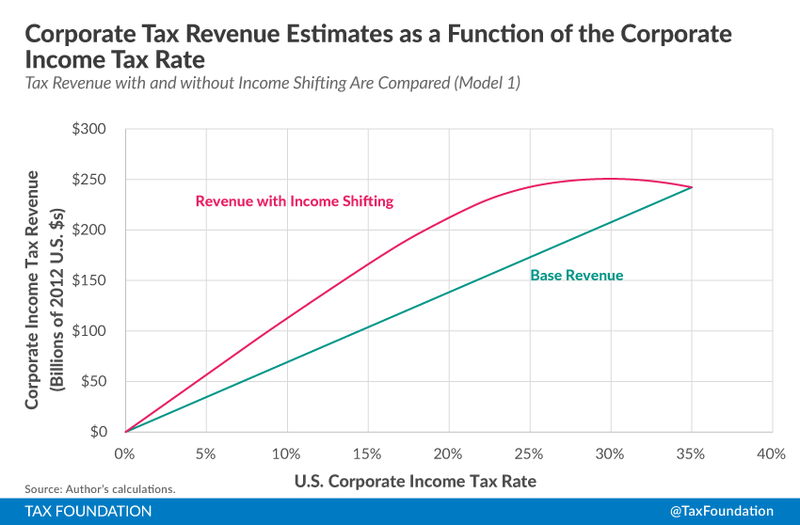 Conditional on that semi-elasticity being true (that is, if income shifting is really as large a phenomenon as the study’s results imply) then you can gain a larger corporate tax base (and more revenue) through reductions in the corporate tax rate, as seen in the graph below. Donald Trump has said a number of things about taxes. Some of them make sense, others of them less so. This is one of the things that make sense. 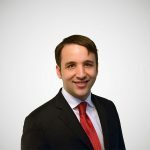 Furthermore, it is generally consistent with themes of the Trump campaign, such as winning, international competition, and improving the level of American greatness at the margin.